When you build a hotel of ice and snow, you need to rebuild it year after year. 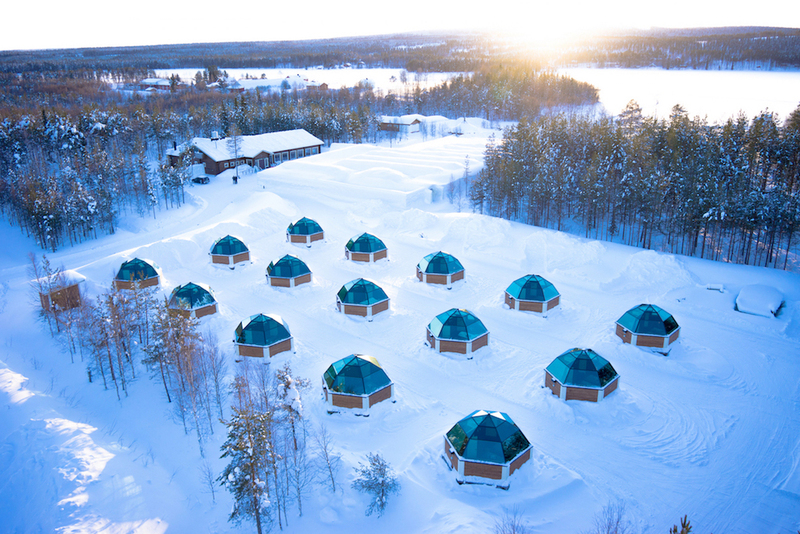 Makers of the snow hotels in Kiiruna and Rovaniemi tell us why. “It will never look the same.” Creative director of the Swedish Ice Hotel in Jukkasjärvi, designer Jens Thoms Ivarsson, is full of enthusiasm. 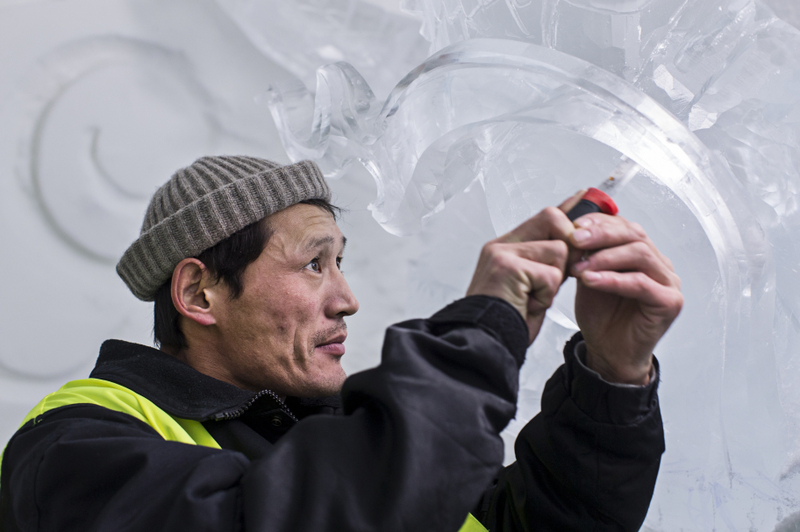 This year they built the 27th version of the ice hotel in Kiiruna, Swedish Lapland. Ivarsson and hotel founder Arne Bergh have come to attend the Arctic Design Week in Rovaniemi and tell about the hotel to local entrepreneurs. They say that in the future, some of the hotel will be solar-powered. We’ll return to that later. 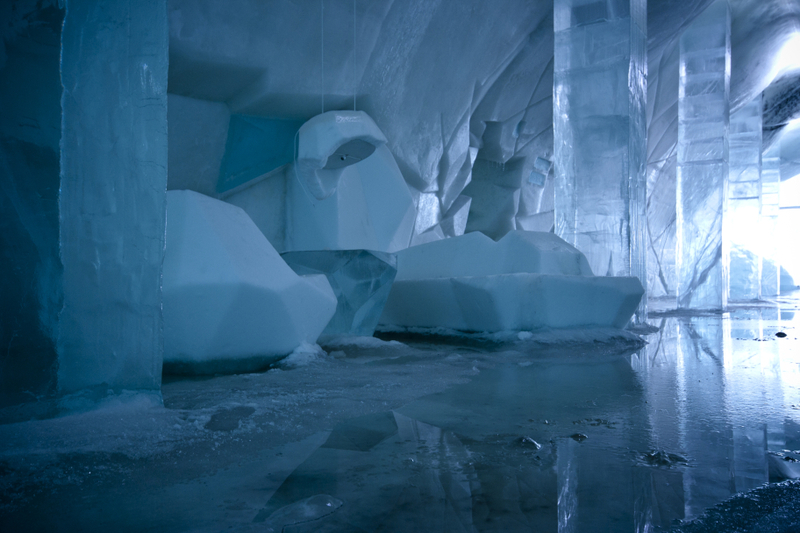 The first ice hotel in the world was founded when in 1989, sculptor Bergh decided to offer accommodation in the snow. The Kiiruna people thought he was crazy. They still do, occasionally – for example when the ice hotel’s theatre group performed Shakespeare in Sami language in minus 30 degrees of Celsius. Bergh, however, saw an opportunity and fell head over heels in love with the material. His creative craze and enthusiasm still remain, and now, in addition to the ice hotel, the Swedes offer year-round ice design and ice products. Jukkasjärvi is located by the Tornionjoki river that is 510 kilometres long. Its water is clean, drinkable even, flowing from Sweden to the border of Finland and along the border to the Gulf of Bothnia. The hotel celebrates its ‘harvest’ in the spring. They harvest ice from the river and store it. Natural ice is clear, durable and clean. In addition to building the hotel, ice is exported from the Swedish Lapland to the the rest of the world. It has been used to build several ice bars, snow and ice parks, a catwalk to a Chanel fashion show, and a trade fair stand with a whole car frozen inside a block of ice. “So far, nobody has come up with an idea that is too crazy for us to realize,” says Bergh. In addition to unique projects, the Jukkasjärvi freezer encompasses ready-to-use ice products. Some have been created to meet the needs of the hotel. 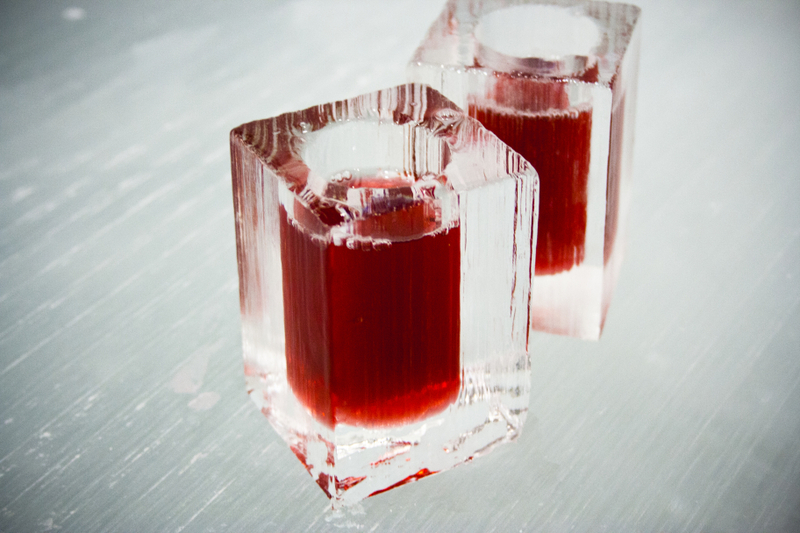 Because using paper cups in a luxury ice hotel felt banal, they created ice glasses to use. “This is our most successful product that is sold by the million per year,” says Bergh. 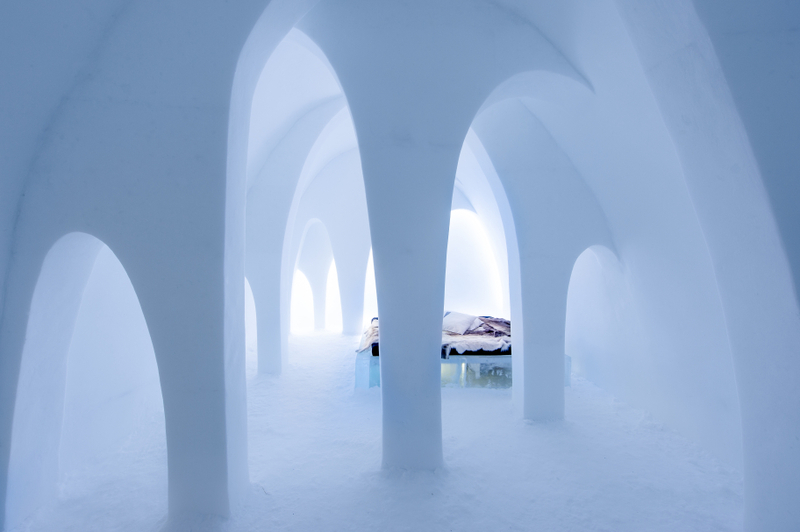 By day, the Jukkasjärvi ice hotel functions as a gallery where each room is a work of art. This year’s hotel crystallizes the ideas of 42 designers, street artists, fashion designers, and other creators in addition to designer Ivarsson and artist Bergh. The winners of a design competition travel to Kiiruna to build their work with the help of the hotel’s ice-building professionals. Artists came from 13 different countries this year. “Everyone who has once participated wants to come again. This is such a fine community, like a family,” says Bergh. Ivarsson emphasizes the uniqueness of the material. Ice is a disposable yet ecological material. “When a design product is made of stone, we constantly doubt whether it is good enough. It is liberating to be able to experiment with new things. We play games in a professional way,” says Ivarsson. This year, the hotel offers accommodation in the tube at the Northern Line station of London, an ice origami, a house of mirrors, and over the rooftops. The Jukkasjärvi ice hotel is the first but not the only one of its kind. The Arctic Design Week’s evening gala was organized at the Arctic Snow Hotel in Rovaniemi, a project of a young couple of entrepreneurs, Heidi and Ville Haavikko. The Arctic Snow Hotel was born from a snow-building course where Ville Haavikko saw pictures from Jukkasjärvi. The Haavikkos’ hotel has been in business since 2008, and instead of art, it is specialized in providing an all-embracing winter experience. It features a Lappish tepee for sampling flame-cooked salmon, snow saunas, reindeer, snow safaris, northern light alerts, and glass igloos. Ville Haavikko has also designed the glass igloos. Hills of snow hide the Arctic Snow Hotel. Ville Haavikko is an engineer and snow builder and the right person to explain how water can be turned into a hotel. In the autumn, Haavikko says that he literally sleeps with his finger outside the window, waiting for the ice on the lake Lehtojärvi to become strong enough – not too thin and not too thick. “We make a big pool in the lake and take out a few thousand pieces. The biggest chunks weigh up to 500 kilos,” says Haavikko. They are constantly at the mercy of weather. When it freezes, they start ploughing. They use a snow cannon to make an enormous mountain of snow – 25,000 cubic metres in total. The snow is cast in molds that are then slid away. What is left are snow arcs. Finland regulates snow-building so that a snow hotel needs a building permission and a foreman responsible for the construction. The completed building goes through official inspection as would any other new building in the country. When you enter the Arctic Snow Hotel, you can feel the silence in your ears. The mass of snow absorbs all sounds. Hotel’s aisles have been made very tall in order to avoid claustrophobia. “The walls attenuate by one millimetre to one centimetre per day depending on the weather,” says Haavikko. The hotel closes its doors in the end of March when the sun starts to shine. “Its structure would be strong enough but there is too much water damage,” Haavikko explains. Pools of water form on the floors when the mass of snow starts to melt. Just like Arne Bergh, Haavikko is in love with the melt-down process. You can add steam to the snow sauna of Rovaniemi every second. Ice hotel’s season is the winter. In Jukkasjärvi, they intend to bring the winter back in the summer. They are planning a grass-roof building that houses a solar refrigerator and ice hotel rooms. In the winter, the hotel’s roof disappears in the snowy landscape, and the building is part of a bigger ice hotel. Utilizing renewable energy was a precondition for the project. “We could not make this happen earlier because only now solar panels have been developed to suffice,” Bergh says. The ice hotel is born from the river and becomes the river again in the spring. Except for a few rooms that are going to be frozen by the sun.